Retired, and proud grandmother of two LCMCC students, Helen Dalton, an experienced businesswoman, brings a wealth of experience to the committee. Helen joined the Lane Cove Music and Cultural Association Executive Committee as an enthusiastic grandparent to Henry and Alice, both students of Piano and Guitar at the Centre. Helen is presently retired having had a long career as a businesswoman managing many small business interests over the years. 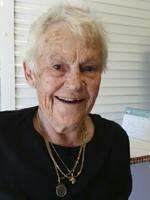 Helen lives in Pottery Garden Retirement Village Lane Cove and enjoys an interest in music, sport and education, deep sea fishing , her children and her grandchildren. Helen brings a wealth of life experience to the committee.